Jessica Rosenberg ♥ Breathe. Stretch. Play. Respected educator, meditation guide, yoga instructor, and lifetime practitioner, Jes is a catalyst for change! Her wisdom, compassion, and love guide you to enlighten-up and create a strong, balanced foundation in life on and off the mat. Yogis out of captivity and roaming the urban jungle. Dedicated to connecting and creating a commUNITY of peace. Raising money through meditation and yoga events for great causes.. Livin' in the OM. 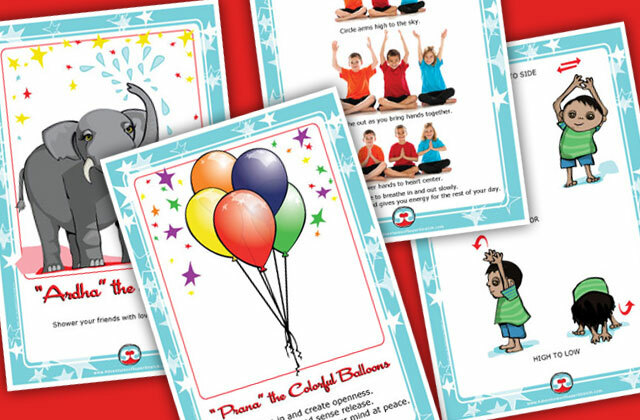 Super Stretch is a health & wellness EDUtainment program, books, activity flash cards, and apps for kids that offers simple yet effective resiliency tips and tools to eliminate stress and anxiety. Flip the negative switch in the mind and plug into your super powers to live a healthy, happy life. Learn positive tools to respond wisely and enJOY life’s ever-changing adventures. Have an oxygen cocktail with me! Reboot, find center, and turn on your true power. I’m the spark that will help you tap into your pure potentiality. You make it happen. Don’t hold back. 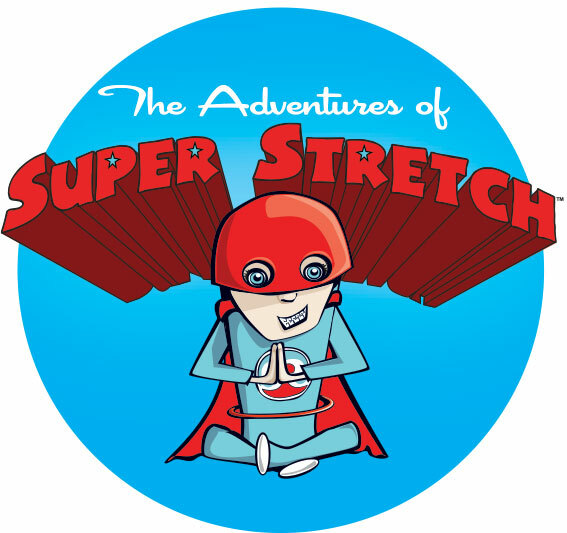 The Adventures of Super Stretch™, founded and created by Jes, is a fun, innovative health and wellness EDUtainment program for kids. The goal of The Adventures of Super Stretch™ is to help all children make ‘Breathe. Stretch. Play.’ a part of every day and take a step forward to be the best they can be, inside and out, through mindful moments, breath work, and movement practices. 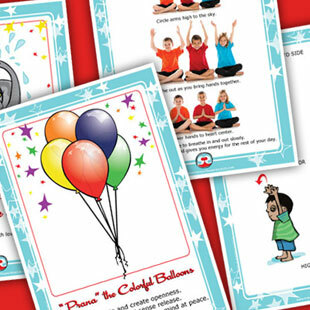 The Adventures of Super Stretch™ program is an in-depth program of interactive tools – books, activity flash cards, and apps – designed to introduce kids to yoga, meditation, and the power of fitness. 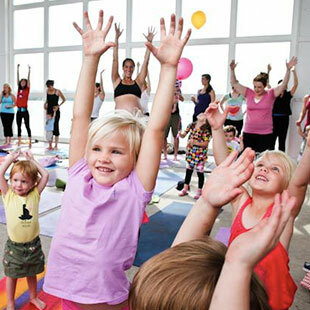 If you are a parent, caregiver or school teacher that wants to learn the benefits for the practice and access yoga’s insights there is also a Teacher Training Manual full of tips, techniques, and lesson plans on yoga for children. With obesity, juvenile diabetes, ADD/ADHD, stress, and anxiety on the rise. Schools, parents and health programs seek solutions for engaging children and encouraging physical activity to keep them healthy and happy. Super Stretch offers skillful solutions to help kids find balance in our overtaxing culture. 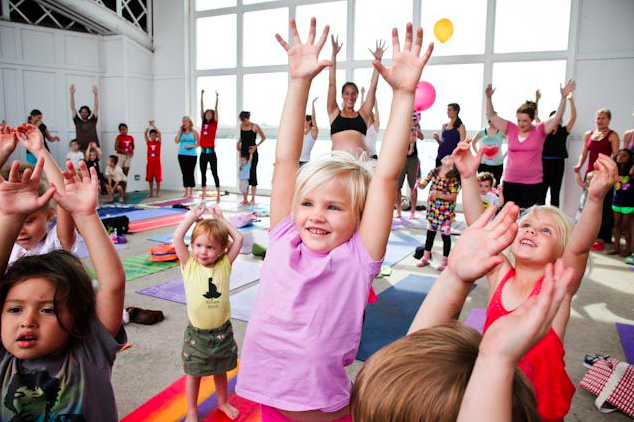 It teaches children how to self-regulate, find resiliency, and develop healthy habits at a young age that will benefit their bodies, minds, and hearts for the rest of their lives. Creating a comm-UNITY and making connections is what it’s all about. Let’s channel your karma yoga and meditation practice to make a difference! 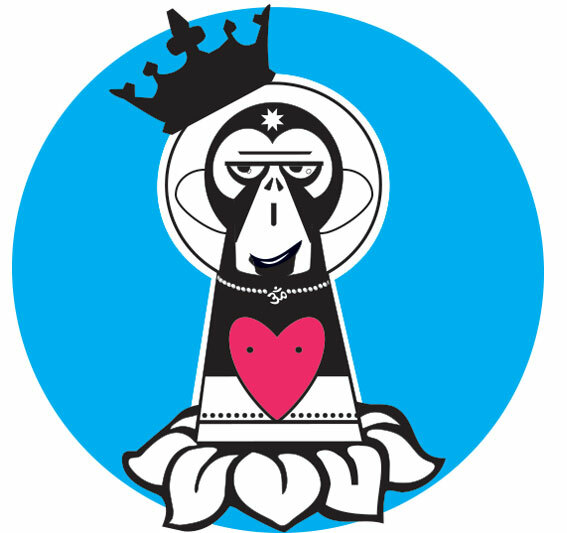 Jes is co-founder, troop leader, and designer of GORILLA YOGIS™. A movement, a migration of meditation and yoga beyond studio walls. We make connections and community. Gorilla Yogis gather to practice in the urban jungle yoga in unexpected, offbeat places. In parks, on street corners, in museums, the Guthrie theater, art galleries, at cafes, in restaurants, in music venues like the rock mecca First Avenue, on rooftop decks, in lofts, abandoned spaces, baseball fields. It’s yogi’s out of captivity. Each month we host donation based yoga and mindfulness events where we raise money for organizations that are doing hard work to make the Minneapolis urban jungle an awesome place to live. This project has raised over 60k+ for non-profits. Let’s BALANCE our strengths and weaknesses in our moving meditation. Get to the HEART of the matter and AWAKEN to this moment. LOVE to live the greatest life possible. Jessica Rosenberg is a national yoga educator, a catalyst in the wellness community, and committed to helping students live an inspired life through MNdful Happier Hours. Her mission is to make ‘Breathe. Stretch. Play.’ a part of everybody’s day! Jessica Rosenberg has been practicing meditation and yoga since the late 1980s and teaching wellness practices for more than 18 years. She studies yogic texts and sequencing philosophies from many yoga and fitness disciplines. The result is a wonderfully blended teaching style and a unique challenging class for children, teens, and adults that balances body, mind, and heart. Jessica’s greatest pleasure lies in sharing, mentoring, and spreading the wonders of yoga movement, breathing, and philosophy. In 2001, she created The Adventures of Super Stretch™, an interactive fitness program, book series, app and games for the entire family developed to give children a physical outlet to express and empower themselves in a healthy and happy way. Jessica is a co-creator of Gorilla Yogis™ — a movement that takes meditation and yoga beyond studio walls and into unexpected, offbeat urban settings as a way to raise money and awareness for various community organizations. An Industrial Designer, formally with Revlon and Aveda, Jessica is a YACEP, E-RYT 500 registered yoga teacher, and 200/500 RYS registered yoga school through Yoga Alliance. She is a national educator who is certified in Ashtanga, Bikram, Power Vinyasa, Modo/Moksha Yoga, Soft Touch Hatha Yoga, Thai Massage, and a Reiki Master. Her talents have been recognized in numerous national and international print publications including the Minneapolis/St. Paul Star Tribune, Mpls St. Paul Magazine, Experience Life Magazine, and Yoga Journal. Have you downloaded her FREE, award winning ‘Super Stretch Yoga’ kids mindfulness & yoga app from iTunes or Google Play? Jessica is especially thankful to all of her amazing mentors for their light and support, and to the love, generosity and compassion from all of the countless students – adults and children – her true teachers. 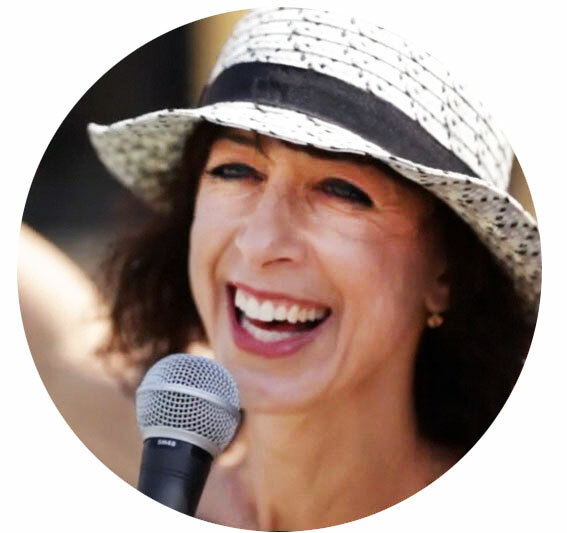 Wellness Speaker, Educator and Instructor – contact Jes for meditation, wellness seminars, private classes and workshops at your school or for your corporate programs. I am a seeker. Yoga has offered me amazing opportunities and life experiences, wonderful people to meet and incredible mentors to study with. Everyone that I come in contact with on the journey inspires and teaches me – the tot that smiles because they did down dog for the first time without their parents help, the teen who was able to stay out of trouble at school by taking 3 deep breaths, the over-worked 40 year old who made space in their busy day to do a sun salutation, the 95 year old who takes chair yoga… It is an honor and privilege to share the gifts of yoga with people every day. I like to teach classes that are mindfulness practice wrapped-up in a challenging vinyasa flow. So, when you walk off the mat you feel refreshed, renewed and rebalanced in body, mind and spirit. It’s like having an oxygen cocktail! You flip the switch and tune into your essence on the mat. New to yoga? Dive in, try it all and enjoy the amazing experiences that every style of yoga has to offer. There is no right or wrong type, find what resonates with you. Yoga is an art and science of the body/mind connection. It challenges the body, focuses the mind, the philosophical principles encourage growth and it has a wonderful meditative aspect. It is an incredible holistic approach to living. Contact Jes for more information on these and other personalized extended workshops & camps. Take a breath, calm your mind, be connected. Subscribe for schedule updates & event announcements.